I quickly realised the CX-3 wasn’t the right car for me due to the small boot. 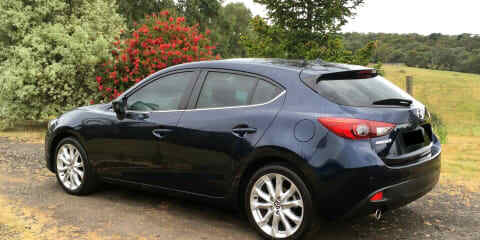 The Mazda 3, however, looked very appealing with its comparable price, larger interior and more powerful engine. Fast-forward three hours and I was walking out the dealership with a smile plastered across my face and a contract for my first new car, an automatic Mazda 3 SP25 hatch in Deep Crystal Blue. This brought an end to my month-long hunt for the ‘perfect’ car. 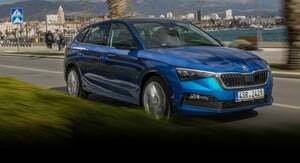 I had looked at the Hyundai i30, Volkswagen Golf and Ford Focus. All fine, but none spoke to the head and the heart like the Mazda did. Fast-forward to today, and the Mazda 3 has provided me with 65,000km of fun and reliable motoring. The drive experience was what won my heart. It’s a great all-rounder that leaves me wanting for nothing when considering the price. While the steering doesn’t feel as ‘connected’ to the road as my previous car, a Gen 4 Subaru Liberty, it was the best out of any aforementioned car. The ride is predictably firm on 18-inch wheels, but not uncomfortable. 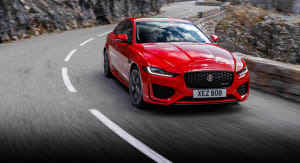 The engine and transmission combination is a bit like David and Victoria Beckham – not the newest or that special anymore, but they’re perfectly matched, in sync, and (hopefully) long-lasting. The drivetrain appealed to the head as nothing about it was overly complex with good grunt and reasonable economy. The Beckham drivetrain feels like it has enough power to get me out of trouble, but not enough to get me in trouble. The transmission is surprisingly snappy when punting at seven-tenths or above, almost DSG-like. Yet it is buttery smooth in traffic. Speaking of which, this car spends a fair amount of time in traffic during my commute where the engine does most of its work between 1500–2500rpm. Yes, there is seldom a need to take it past that point to keep up in traffic. My average fuel economy rests at 7.1L/100km in urban settings and on a strict diet of 98RON, well below the ADR’s 8.1 urban rating. With some highway driving mixed in, the economy drops to high sixes. 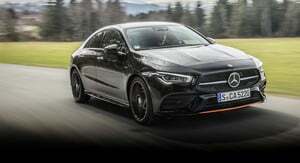 Very impressive for a 2.5-litre engine with a combined fuel economy of 6.1L/100km. 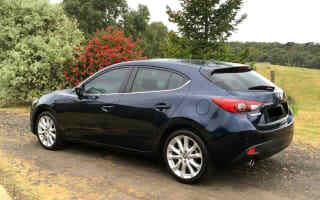 I imagine that iStop contributes to the low figure, and a feature I think is well implemented on the Mazda – fast re-ignition, easily modulated via the brake pedal and, according to the MZD system, it has saved me almost three tanks of petrol in three years. Speaking of the MZD system with its rotary controller, it’s a delight to use! You’re never left second-guessing what selection you’ve made on the screen. It’s a wonderfully tactile arrangement in a world obsessed with smudgy touchscreens. While the graphics are now starting to look a little dated (Mazda, take note: brushed-aluminium effects in user interfaces went out of fashion over a decade ago), everything still works well, including the voice control, which is much faster and more accurate than the system in my partner’s newer Toyota. I was glad to hear that Mazda will retrofit CarPlay and Android Auto for anyone with MZD. If the price is right, I’ll happily upgrade my system. 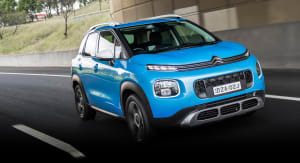 Some of the more quirky features include being able to adjust the volume of the indicator sound, doors that lock automatically when you walk away from the car, and a warning that will cut your music and yell “Speed camera ahead. Reduce speed immediately!” if you’re speeding near a speed camera. While intrusive, it’s saved me a few times when driving in unfamiliar areas. – Fixing a rattling window bracket. – Replacing a door lock actuator (the actuator wasn’t broken, it was just making an odd noise). – Changing a rubber window seal that was wearing quickly. This is something that Mazda picked up and replaced without me asking. How very un car-dealership like. – The MZD system would occasionally freeze. 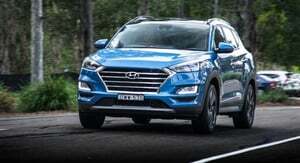 The issue was fixed by the dealer at the 1000km inspection with a quick software update. It’s been pretty much flawless since. – The grating engine noise on start-up, when it does its best impression of a lawnmower. Not the best way to start your day (first-world problems, right?). – Road noise: a massive improvement on the previous-generation Mazda 3, but still not class-leading. – No ‘elapsed time’ feature in the trip computer. Every car I’ve owned features one and I still miss it three years on. Apart from that, I can’t complain about anything else. The interior remains as tight as a drum with no significant signs of wear or annoying rattles. I find this particularly remarkable, as I used to live off a dirt road that stretched 3km – not the typical environment you find a Mazda 3 in. If I could turn back time, I’d get the manual and put the money towards the active safety pack that was available. I have a love/hate relationship with the paint colour, so I probably would have selected light blue or white. Deep Crystal Blue is a gorgeous colour when washed and can look black depending where shadows are being cast (as you can see in the photo), but it requires so much upkeep. A proper wax every six months has kept the paint in top condition and unaffected from life on dirt roads. I still get the car serviced at the dealer, as I find the experience pleasant. I’m always provided with a free loan car that is almost brand new and clean. The staff always listen to what I have to say, and go out of their way to fix any issues I have. Because of that, I don’t mind paying the slightly above-average servicing costs.